Maryland, one of America's smallest states, sits on the Atlantic shore on historic Chesapeake Bay not far from Washington, D.C. 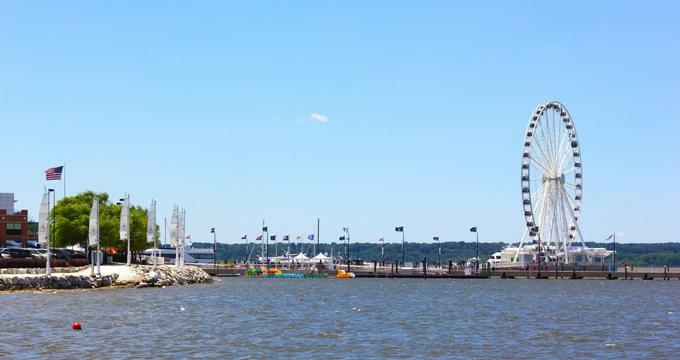 This lovely state has it all: big city excitement in Baltimore, sandy beaches, amusement parks, breweries, lakes, forested mountains, waterfalls, and thriving wetlands. It is a state popular with sailors and beachgoers, and nature lovers come here for the variety of outdoor settings. 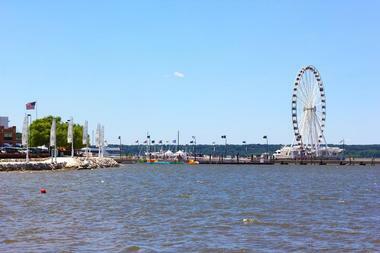 National Harbor, only minutes from DC by car or by ferry, is located on the Potomac River, and it is a treasure trove of accommodations, shops and boutiques, and places to eat. Family-friendly fun begins with The Capital Wheel, a 180 foot high enclosed Ferris wheel with 42 climate-controlled gondolas seating eight persons each. From the top of the circle, riders have a terrific view over the Potomac River, and they can see the White House, the Capitol Building, and the National Mall. Families will also love the large carousel with its legions of whimsical creatures and the biking and hiking trails. They can also rent kayaks, paddleboards, and pedal boats. Warm Sunday nights bring outdoor movies, a candy shop is filled with plenty of treats, and a replica pirate ship offers its own kind of fun for all. The U.S. 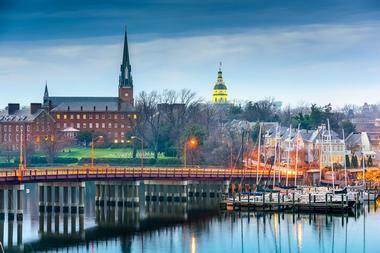 Naval Academy in Annapolis, Maryland, is where U.S. Navy and Marine Corps members receive their four-year undergraduate training. Open year-round, the Naval Academy welcomes visitors at the Armel-Leftwich Visitor Center and offers guided tours of the undergraduate college. At the Visitor Center, you will find exhibits about life as a midshipman during the four-year program of study and a 13-minute film called “The Call to Serve.” All proceeds from guided tours and from sales at the Naval Academy’s gift shop benefit the Brigade of Midshipmen. Visitors over the age of 18 must have valid photo identification and must park off-site unless accompanied by an individual with Department of Defence credentials. 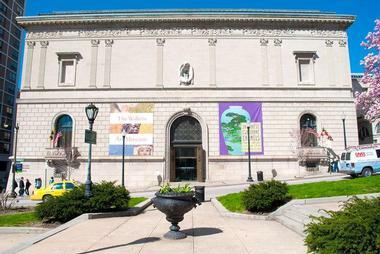 The Walters Art Museum opened in 1934 with the intent to publicly display the artworks and sculptures collected by the Walters family in the 19th century. Its collection of art and its building have expanded and continue to welcome visitors from around the world. Among the delights of The Walters Art Museum are ancient Egyptian statues weighing 3,000 pounds, a notable collection of Greek sculptures and Roman sarcophagi, medieval art including works on ivory, Art Nouveau jewelry, and paintings by some of the world’s most famous artists, including Raphael, El Greco, Monet, and Manet. The museum’s collection of Thai bronzes and scrolls is one of the largest in the world. Guided tours are available for families and school groups, and restless children and their parents will find respite in the creative Family Art Center. The Chesapeake Bay Maritime Museum is a unique contribution to education and history and is located in thirty-five buildings over eighteen acres directly on Chesapeake Bay. The museum is dedicated to the history of Chesapeake Bay, including the oyster and crab industry, shipbuilding, and sailing. The 1879 lighthouse on the property enables docents to teach visitors about life as a lighthouse keeper, and the Lighthouse Overnight Program allows youngsters to keep watch at night. The museum has a working shipyard used for education and the restoration of its one hundred Chesapeake Bay boats. The museum has a bounty of educational programs and a small gift shop. The Antietam National Battlefield in north-west Maryland is protected by the National Park Service along the Antietam Creek and commemorates the bloodiest one-day battle in American history. The Civil War battle, which took place on September 17, 1862, left 23,000 soldiers dead. You can visit the battlefield site as well as the Antietam National Military Service, in which 5,000 Union soldiers from the Battle of Antietam, as well as veterans of World War I, World War II, the Spanish-American War, and the Korean War are buried. A visitor’s center contains exhibits about the battle and the Civil War, and they screen a 26-minute film narrated by James Earl Jones. There is a small field hospital museum displaying typical medical equipment used in the Civil War period. The National Aquarium is an award-winning facility on Chesapeake Bay containing more than 17,000 specimens of 750 species. 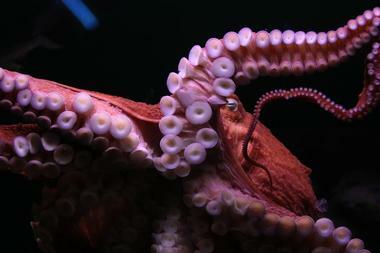 Since its opening in 1981, its goal has been to inspire conservation of the earth’s aquatic species and resources. The museum is home to eight bottlenose dolphins, a multi-story Atlantic coral reef, an open ocean shark tank, and the critically acclaimed Australia Wild exhibit, which contains an aviary and both land and sea animals. In this exhibit, visitors can watch the flight of kookaburras and rainbow lorakeets and see freshwater crocodiles and the ferocious barramundi fish. The Living Seashore touch exhibit enables visitors to interact with sea creatures such as stingrays and horseshoe crabs, and the Children’s Discovery Gallery is a wonderful place to visit with young children. 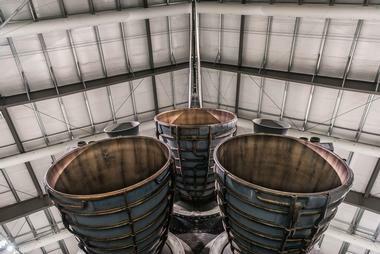 Behind the scenes tours are available for an extra fee. When the British attacked Chesapeake Bay on September 13, 1814, the U.S. Army was waiting in the star-shaped coastal battlements of Fort McHenry. 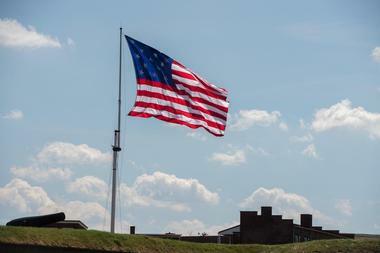 Their might overpowered the British, and in the early morning hours of September 14, the officers at Fort McHenry raised a garrison flag, measuring 30 feet by 42 feet over the fort, signalling victory. The Baltimore & Ohio Railroad Museum is a testament to the first railway line in America to transport people and their goods. Initially constructed in 1830, the B&O Line was Baltimore’s effort at competing with the newly built Erie Canal, which carried goods to New York City. It is one of the oldest railroads in the United States, and its museum has the largest collection of 19th century American locomotives in the world. Train aficionados will marvel at the outdoor G-Scale railroad and the indoor HO scale model, and the enormous collection of locomotives, historic buildings, and small objects such as clocks, pocket watches, signals, and lanterns. Guided tours of the museum’s restoration shop are available, as are rides on authentic vintage trains. The boardwalk in Ocean City, Maryland began in 1902 when a group of waterfront hotel owners decided to build a walkway for the convenience of their guests. It was a portable walkway and was rolled up at high tide. In 1910, a permanent structure was erected, and after the boardwalk was destroyed in a storm in 1962, it was rebuilt to its current length of some 30 blocks, or 2.5 miles. The boardwalk is liberally peppered with shops, amusements, eateries, hotels, and nightlife, and it has ocean-facing and inland-facing benches along its entire length. Always popular are the carousel (which is the oldest in the United States), the U.S. Coast Guard lighthouse, and the Ocean City Life-Saving Station Museum. The boardwalk is handicap accessible. Historic Ships in Baltimore is a collection of four military vessels from different periods of American history. 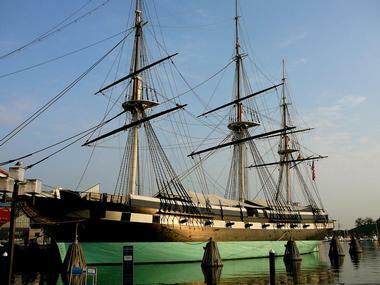 The USS Constellation is a frigate that served from 1797-1853, protecting American commerce interests in the Caribbean. The US Coast Guard Cutter Taney, built in the mid-1930s, was used extensively in war and at peace. USS Torsk is a submarine that saw service in the Pacific in World War II, and Lightship 116 Chesapeake was a vessel used by the U.S. Lighthouse Service. You can also learn about the ships’ importance throughout military history. For school and scouting groups, there are overnight adventures available. Multi-ship tickets are the least expensive way to experience these pieces of living history. Oriole Park is a baseball-only sports venue, and it is home to Major League Baseball’s Baltimore Orioles. Since 1992, this ballfield has had a special place in the hearts of Baltimore baseball fans. Built in the retro style of the early years of the 20th century, its seating is comfortable and its views admirable. Plenty of concessions are available whether you want a beverage, a hot dog, or team memorabilia. Capable of holding over 45,000 fans, even last-minute ticket buyers have the opportunity to enjoy a ballgame. Camden Station is close to Oriole Park and is serviced by both Baltimore Light Rail and the MARC. A team store is open daily even when the ballpark is closed. Top of the World is a 27th floor observation level in Baltimore’s World Trade Center, the highest pentagonal building in the world. From the windows, visitors can get a 360 degree view over downtown Baltimore, the Inner Harbor, and Chesapeake Bay. Fixed binoculars are available around the observation level, as are placards informing visitors as to what they’re looking at and giving historical background to the sights they are seeing. A 9/11 memorial wall has been constructed, and it outlines the history of that tragic day. Group tours are available, the tower is handicapped accessible, and the observation level has a small gift shop. 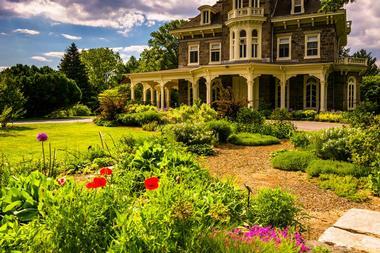 Harvey S. Ladew was a 19th century business magnate and fox-hunting enthusiast who renovated the house and grounds of his Maryland home, making them the lovely manor house and extensive gardens that they are today. 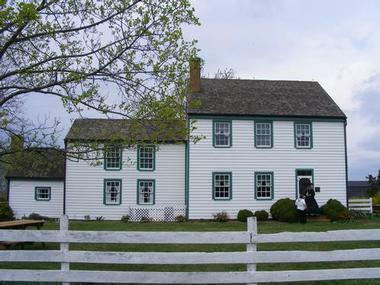 The manor house has beautiful interiors, which visitors can see during hour-long docent-led tours. Ladew himself constructed the topiary garden without professional help; it is still a wonder after over a century. Cylburn Arboretum is an oasis of greenery in the middle of Baltimore. The property is 207 acres, 150 of which are wooded. The beautiful nature trail welcomes dogs on leashes and is interspersed with plantings of wildflowers to make the trail even more of a visual treat. The arboretum has twenty different gardens featuring a wide variety of flowers, and there are several tree gardens, some of which have been on site for over one hundred years. Japanese maples, gingkos, small conifers, beeches, magnolias, hollies, and weeping cherries are some of the jewels of the tree collections. 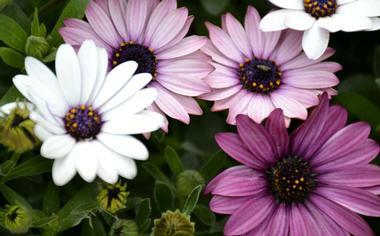 The flowers include arrays of roses, daylilies, dahlias, tree peonies, and azaleas. The Baltimore Bird Club operates out of the arboretum and welcomes new members interested in the bird life of the region. Just outside of the center of Baltimore, the Howard P. Rawlings Conservatory and Botanic Gardens is situated in Druid Hill Park. Established in 1888, the conservatory at that time consisted only of a Palm House, a gorgeous piece of Victorian architecture containing palm trees. The Palm House still stands, and it is the second oldest conservatory in the United States. The Mediterranean greenhouse mimics the climate and plants grown in the Mediterranean basin and California. The Tropical Forest houses plants from Africa, Asia, Australia, and the Americas. 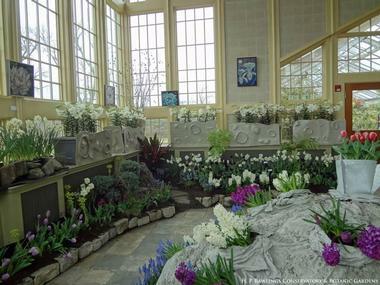 The headliner of these botanic gardens is the Orchard Room, which contains over 30,000 species of this tropical plant. Kids will enjoy feeding the fish at the Koi Pond, and visitors with green thumbs can purchase plants in the foyer. 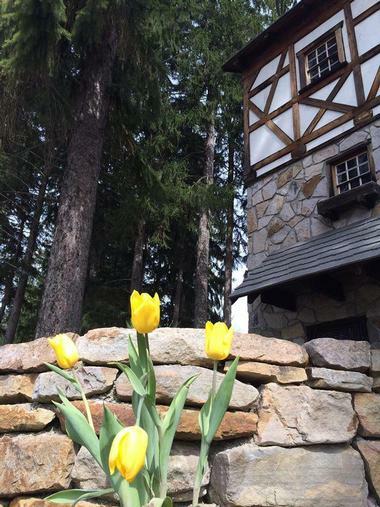 Spruce Forest Artisan Village is a terrific place to stop the car, stretch your legs, and learn about traditional crafts from seasoned artists seeking to preserve the artistic heritage of the Allegheny region. The artisan village is set among historic buildings, including an 1838 one-room school house, a church, and a working mill. There are six permanent artists settled in the village along with many visiting artists at any one time. The permanent artists include a weaver, a potter, a metalsmith, a metal sculptor, a bird sculptor, and a wood turner. Their cabins are open and have items for sale. The artisans chat happily with visitors and are eager to explain the details of their craft. Workshops are held for the public on diverse topics such as weaving, ring making, abstract acrylic painting, quilting, pottery, and drawing with colored pencils. 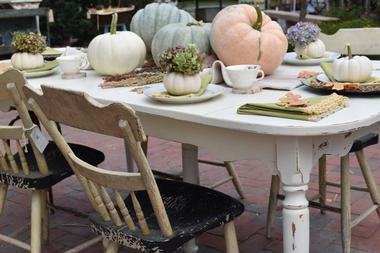 Chartreuse and Co. is a once-a-month home goods and antique market that is housed within three converted barns in Frederick housed on a family farm property. The market, which began as an occasional tag sale project, has morphed into a massive monthly endeavor, opening to the public on the third weekend of each month on Friday, Saturday, and Sunday afternoons. A wide variety of artisan boutiques, designers, and antique dealers pack the facilities each month, selling unique home goods and decor items. Free wine tastings are offered for all guests, with food vendors available on site throughout market hours. An annual holiday market also opens the barns on the first Friday, Saturday, and Sunday of November and December for additional holiday shopping time. The Goddard Space Flight Center is a NASA research base in Greenbelt, Maryland dedicated to developing and operating unmanned scientific spacecraft and satellites. This huge complex employs over 10,000 people and plays a vital role in our knowledge of the Earth, the solar system, and the universe. The Goddard Space Flight Center has a small visitor’s center that displays spacecraft and technology, an educator’s resource center, and lots of videos. Particularly popular is a video feed of the surface of our sun. Special events are held throughout the year, and a small gift shop sells reasonably priced NASA souvenirs. 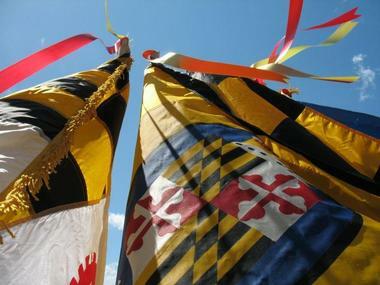 In 1634, the settlement of St. Mary’s City was the first capital of Maryland. Archeologists have uncovered the remains of that early village and recreated a 17th century village for the education and delight of visitors. Walking through the village, visitors will encounter costumed docents who can explain buildings, crafts, and trades, demonstrate their skills, and give opportunities for hands-on learning. Dr. Samuel Mudd, who was born in Maryland in 1833, had an unusual role to play in American history. On April 14, 1865, John Wilkes Booth assassinated President Abraham Lincoln at Ford’s Theater in Washington, D.C. Booth left the theater by jumping from the theater box and fell, breaking his leg. 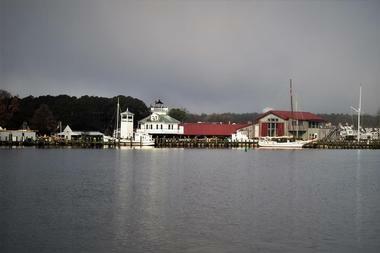 The Calvert Marine Museum is situated at the estuary of the Patuxent River where it meets Chesapeake Bay. The museum, founded in 1970, spreads over several acres and encompasses two lighthouses, a saltmarsh, and maritime frontage for displaying Chesapeake Bay boats. 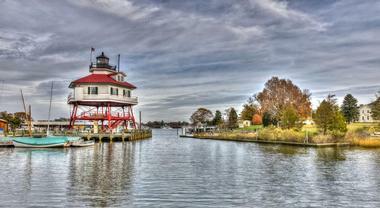 The Drum Point lighthouse is one of only three remaining along Chesapeake Bay, and it is a museum and National Historic Landmark. The Cove Point Lighthouse is still active and traditionally used by the U.S. Coast Guard. Visitors can opt to sail down the Patuxent River in a “bugeye,” which is an oyster dredging boat, or they can walk the boardwalks above the saltmarsh. The J.C. Lore House, also a National Historic Landmark, walks visitors through the history of oyster processing and its vital importance to Maryland’s economy. Jefferson Patterson Park & Museum, named for the U.S. 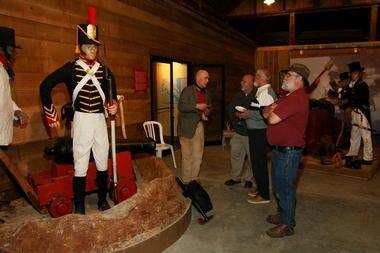 Diplomat whose lands they once were, is a 560 acre state park and museum on the Patuxent River. The park is notable for its wealth of archeological sites; 9,000 years of human history have been uncovered here, and there are excavations in progress on the land. The museum has exhibits on Jefferson Patterson and the archeological finds that have taken place locally. 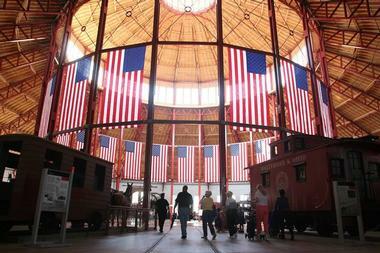 An old barn contains exhibits about the War of 1812 and displays antique farm equipment. In the park are walking, hiking, and biking trails, docks for canoes and kayaks, a walkway over the saltmarshes, and a recreated Indian village using local materials and built in traditional style. Crisafulli's Cheese Shop is a cheese counter and deli in Frederick, operated for more than three decades by Betty Gardiner and Sharon Crisafulli. The deli offers up the Washington, D.C. metropolitan region's most extensive selection of cheeses, highlighting a rotating stock of more than 200 unique types of small-batch and artisanal cheeses. 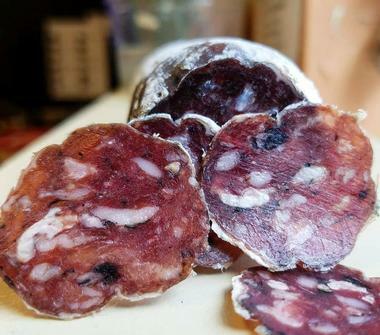 Pairing and pantry items are also sold, including fine charcuterie meats and a selection of wines to complement every meal and palate. A deli counter serves up a variety of creative sandwich offerings, including dessert sandwiches such as s'mores sandwiches with chocolate hazelnut spread and graham cracker crumbles. 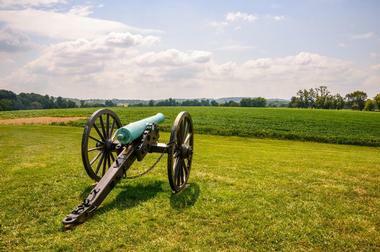 The site of “The Battle that saved Washington,” the Monocacy National Battlefield commemorates the American Civil War battle that was fought on July 9, 1864. General Jubal Early commanded the victorious southern forces, while General Lew Wallace was the head of the Union force. Jubal Early’s strategy was to fight battles throughout the Shenandoah Valley and into Maryland in order to divert Union forces from General Robert E. Lee’s army, which was under siege in Petersburg, Virginia. Visitors can see all of the important battle sites from the comfort of their own car with an audio tour they can download onto their smartphone. The battlefield also has six hiking trails of varying degrees of difficulty, and a visitor’s center with exhibits about the American Civil War. Chartreuse and Co., Photo: Chartreuse and Co.